This ride report/photo essay is adapted from its original posting on the MTBR forums. Last Thursday I finally had the opportunity to ride Burro Down with a good friend of mine, John (JPE182 on the MTBR forums). 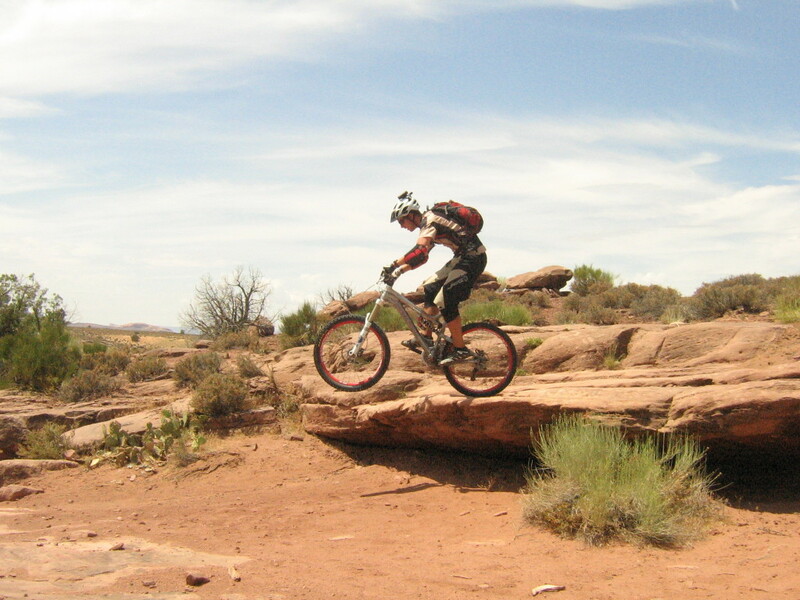 John’s been living in Moab for two years, and has a second job working part time as a mountain bike tour guide for Rim Tours. He tells me the locals call this ride Burro Down, so I refer to it as that. He and I go several years back – we met in college and worked to grow a fledgling mountain bike club – Oneonta State Mountain Biking in Upstate New York. Since he lives in Moab and I have another year of school, we don’t see each other often and we get to ride together even less. Even riding a crappy trail with John is fun, but fortunately that wasn’t the case here. Anyway, enough of the sentiments. On to the goods! 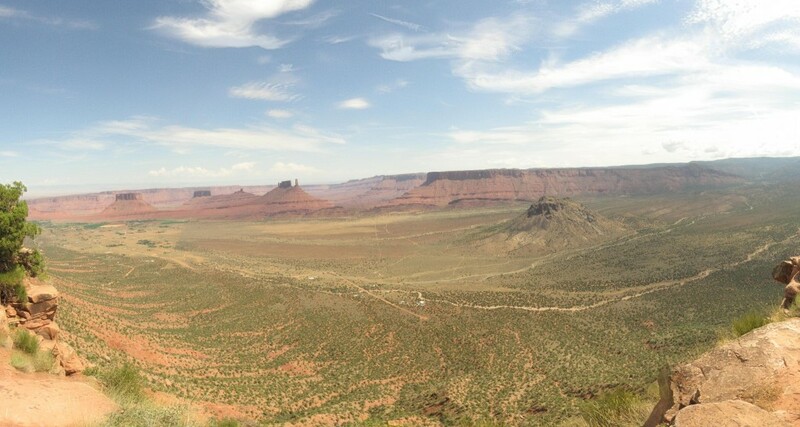 I rode LPS/Porcupine Rim last year and loved it, so I knew a little bit of what I was in for. Our day started at 6am. We loaded the bikes up and dropped my car off at the bottom of Porc Rim. 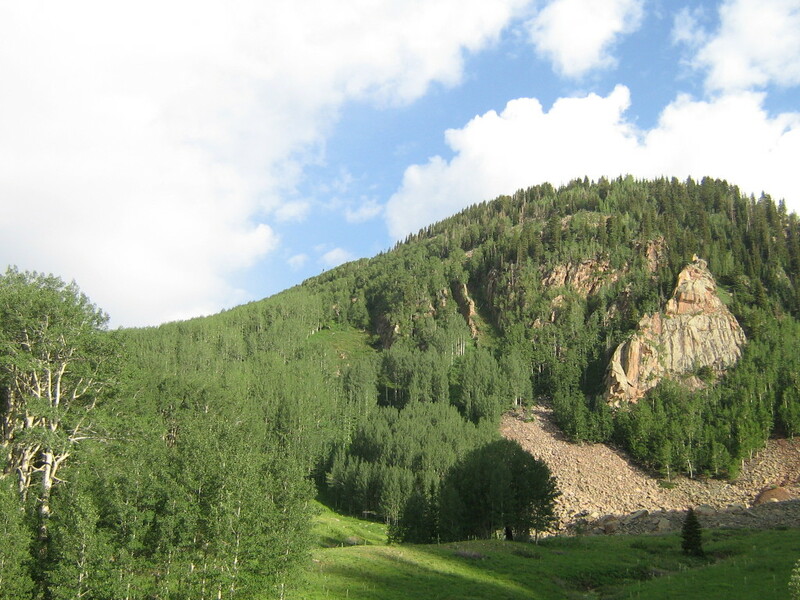 Then we headed north out of town and drove up into the lush La Sal mountains. We unloaded our gear, and hit the trail at 8am. It was a chilly 53 degrees in the mountains. Burro Down starts at about 10,000ft with a couple miles of fireroad. 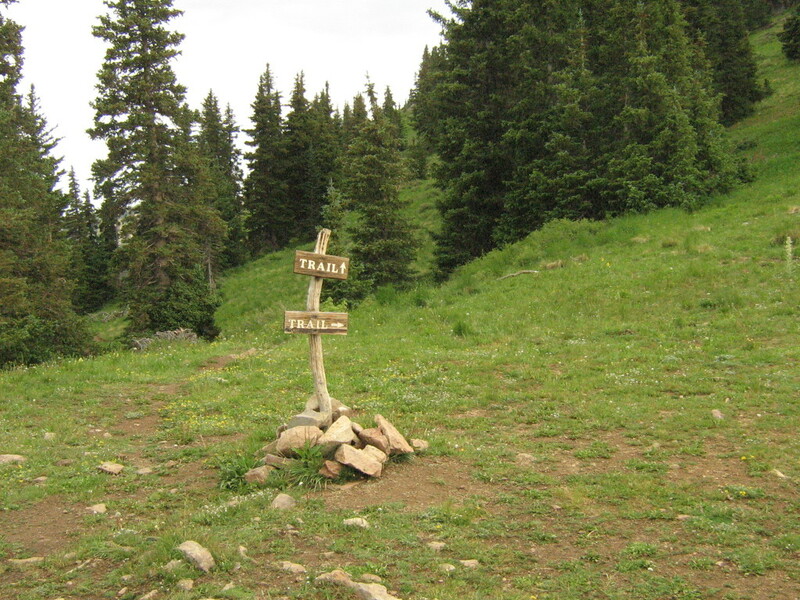 The fireroad quickly gives way to singletrack and you climb a little more until you peak at 11,200ft. It had rained the night before which left the trails nice and tacky. Maybe too tacky in some spots. 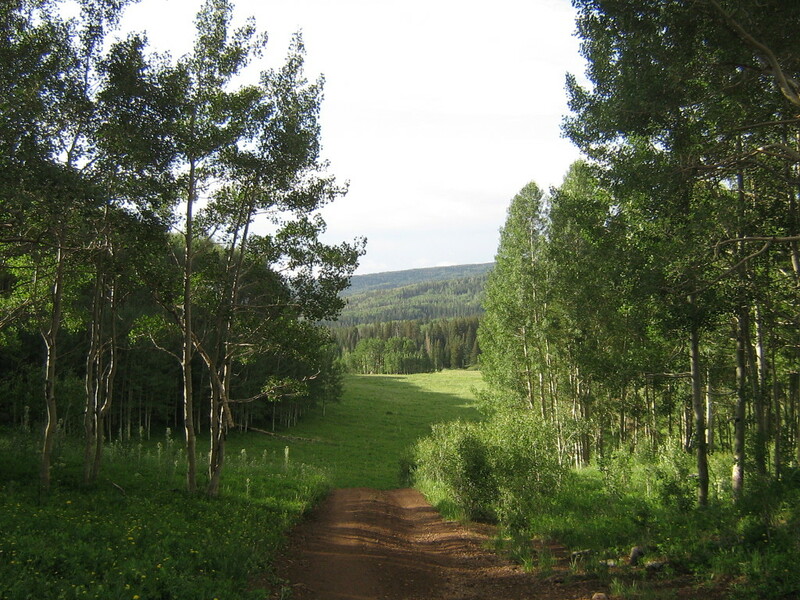 We rode through pines, aspens and lush green meadows until we hit the top and stopped to gear up for the downhill. Once the initial climb is over, the rest of the ride is mostly downhill. There’s some climbing interspersed, but not much. 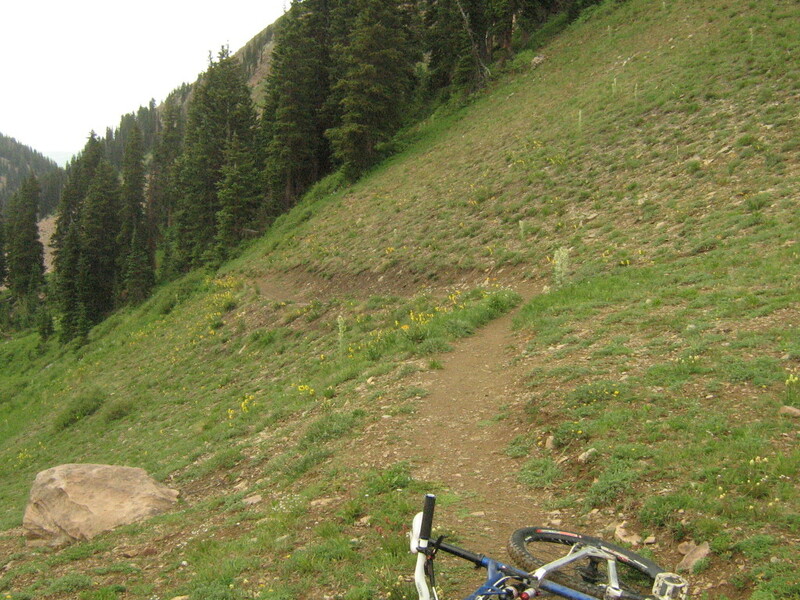 There are some switchbacks at the top that are rather tight, steep and loose. We rode a couple, and walked several on account of how wet it was. We ripped downhill on pure narrow singletrack, weaving in and out of the woods and meadows, through stream crossings, rolling over rocks and roots, some still slick from the previous night’s rain. This is my favorite type of riding, reminiscent of the trails back east but on a much grander scale. The clouds that were present when we started soon gave way to midmorning sun and as we rode down, the temperatures rose up. We soon entered Hazard County, passed Warner Lake and emerged into fields that seemed situated on the top of the world. There are numerous jumps and kickers here – be careful, some of the landings are less than ideal and the penalty for coming up short could leave you in a bad place. The trail gnomes had been at work as we blasted through fresh berms of loose soft dirt. Once these are ridden and get some more sun, they will be even FASTER! As we descended further and further the picture taking became more scarce. It was warming up rapidly and we were having too much fun to stop. 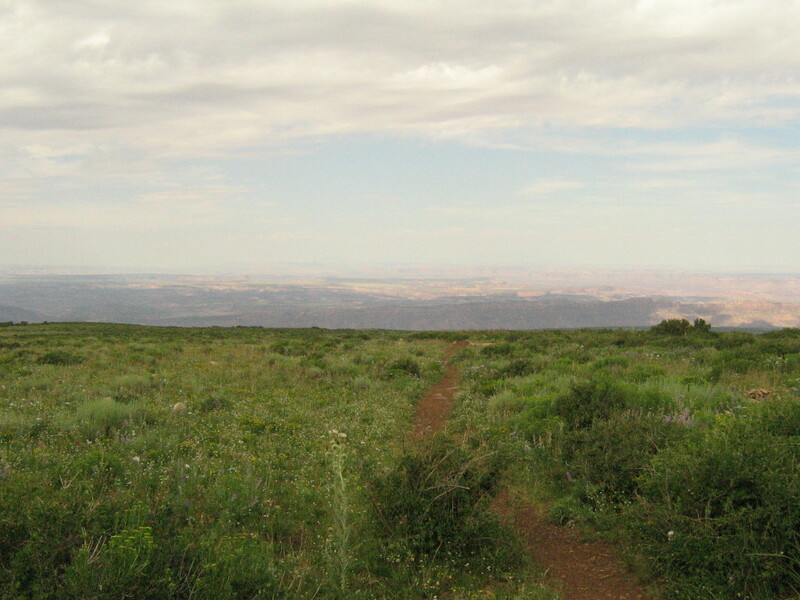 We reached Kokopelli soon after and the terrain changed from mostly buff singletrack to dry, dusty fireroad. Surprisingly, this was just as entertaining. You pick up speed really quickly and there are constant undulations you can jump off of. Before I even knew it we had reached UPS. From here, you continue descending and the terrain changes back to full on desert conditions. We got into a great rhythm – part of the reason I like riding with John – our riding abilities are closely matched. We would trade off leading, each of us picking a line and the other following it. We cleaned most sections, with the notable exception of the notch bypass, which is almost as gnarly as the notch itself! I noticed how much my skills had improved from the year before when I played hike a bike on sections that I didn’t even think about this time around. That revelation built my confidence and put me in a great mood. Riding my own bike (instead of a rental) certainly helped too. As we continued on, we didn’t stop at all. It was HOT and we wanted to finish up as quickly as possible. We did stop briefly to session a couple drops, and managed to make up for a lack of photos with some helmet cam footage. I need to find a good video editing program to process them a bit, but they’re not bad as-is. The end of the ride saw a trip to Milt’s for burgers (I had the Western BBQ Bacon cheeseburger ) before picking up the shuttle car. The GPS data says 26.5 miles of riding, with 2,410ft of climbing and 8,468ft of descending (sounds about right). Max elevation = 11,126ft, min elevation = 4,041ft. End temperature? 95 degrees easily, probably closer to 100. If you mountain bike and you have a pulse, this is pretty much a must do ride. I hear it’s awesome in May or September, but July wasn’t all that bad if you get an early start. Bikes? 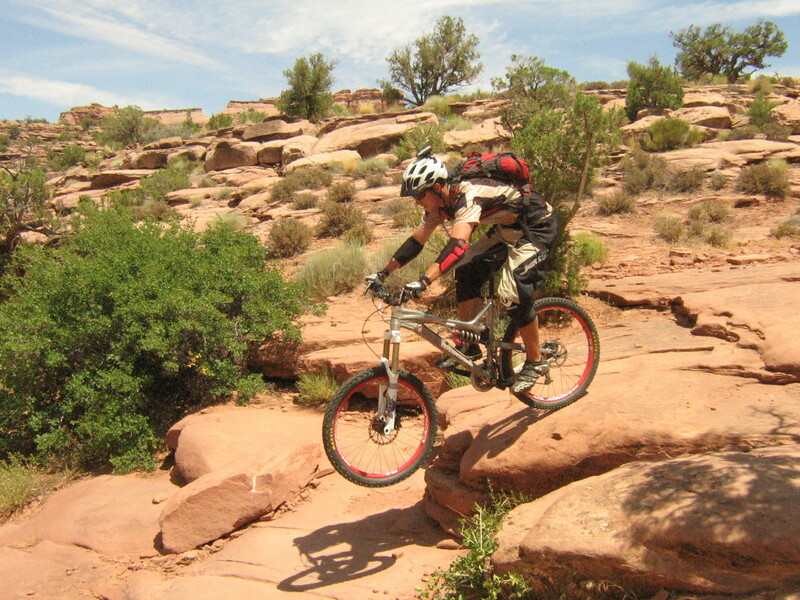 We bombed it on big 6″ rigs (me, a Chumba XCL; John, an Intense Tracer VP) and IMO, that’s the way to do it. Check the elevation numbers again and you’ll see why. Some sort of armor is recommended, especially given the conditions we dealt with. There are a lot of rocks…everywhere. Fortunately we didn’t have any real crashes, or mechanicals – one flat tire…. *ahem*…not mine! Definitely will be doing this ride again.